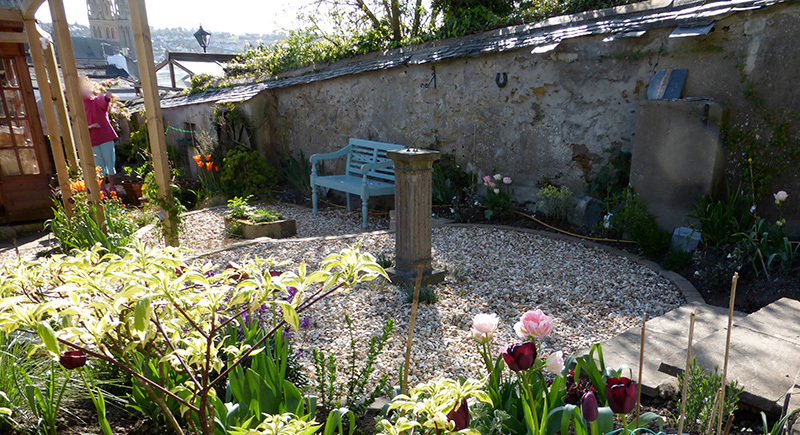 The owners of this beautifully situated garden had just acquired a dog, which had ruined the lawn. They were also keen to distract the eye from the open views into next door’s garden. The solution was to dispense with the lawn and replace it with an intricate design of interlocking circles rising up the slope and giving lots of small planting areas, featuring different colour schemes. 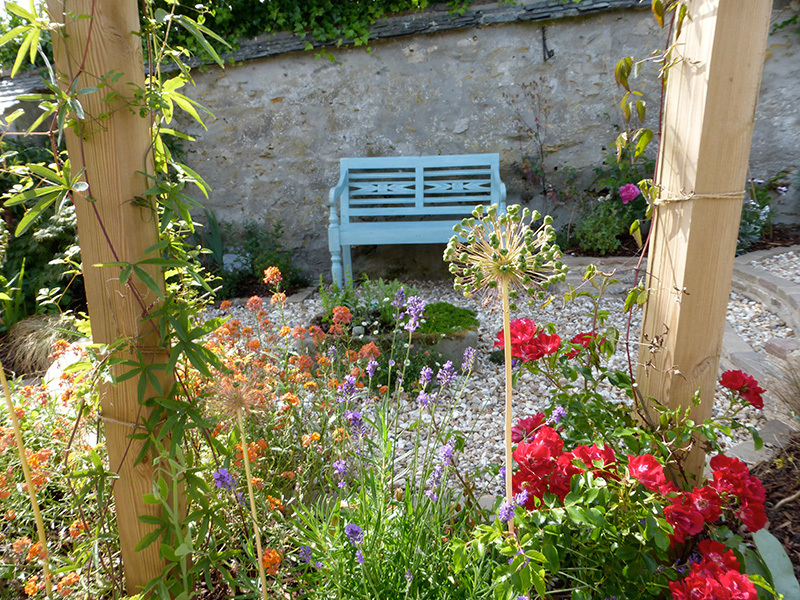 A curving bespoke arch was planted with a variety of climbers which will fill out to give a more private area for the pretty painted bench placed against the old stone wall. Numerous grasses and tall waving perennials also filtered the view through to the neighbour.